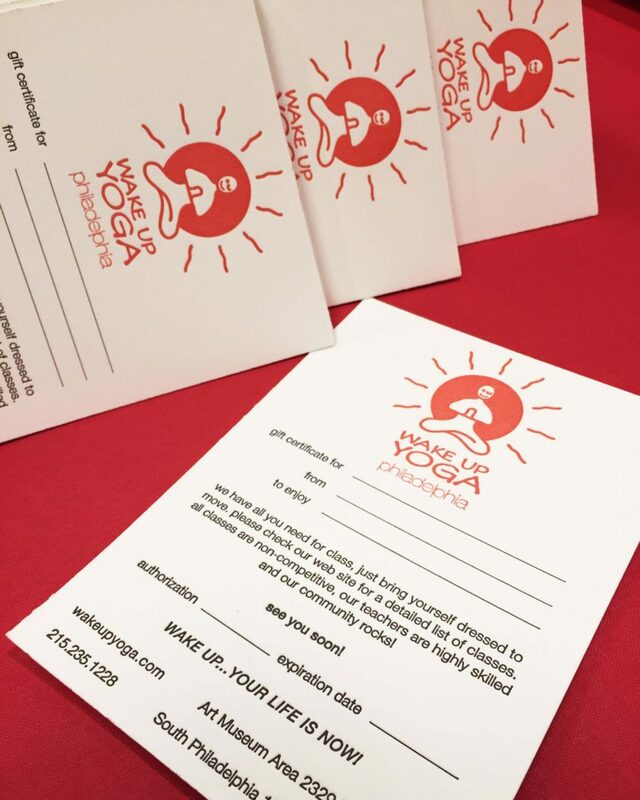 Philadelphia yoga studio Wake Up Yoga recently elevated their gift cards. Now when customers wish to give the gift of yoga practice they can with a heart felt, hand printed letterpress card. Our team loved printing the Wake Up Yoga logo in the studio’s signature color. Bright colors on the press always bring smiles to the studio! Although the black makes smaller text crisp and easy to read. Interested in a letterpress project of your own? Our PDF portfolio has all the inspiration you need.